The problem of an email stuck in the Outbox folder appears quite often in all Outlook versions. From the user point of view, it seems that an e-mail has got to the queue to be sent (Outbox) and cannot leave, thus hanging up in it. It often happens that you cannot remove this e-mail from the outgoing folder. 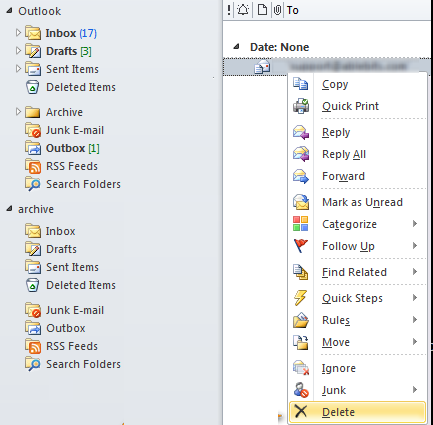 Let’s consider typical reasons why this issue appears and how to delete messages stuck in Outlook’s Outbox. The easiest and quickest way to get rid of the email stuck is to close and start Outlook again. After the restart try to select the hung-up email and delete it (right-click it and select Delete or press DELETE button on your keyboard) or move it to the Drafts. Check if the maximum email size (including attachments) that can be sent by your mail server is exceeded. If it is exceeded, you will have to delete this e-mail from the queue and change its size by deleting the attachments or splitting them into parts. Try to switch Outlook in the offline mode by clicking Work Offline in the Send/Receive tab. Close Outlook and using Task Manager make sure that the outlook.exe process is not running. Start Outlook, find the message stuck and try to move or delete it. Then disable offline mode and click Send/Receive to refresh the folders. 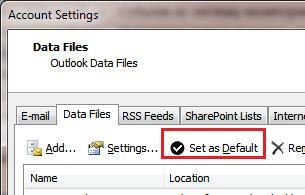 Try to delete the stuck item by starting Outlook in the Safe mode. When started in this mode, Outlook is not load third-party extensions (including antivirus ones) that can block the message in the Outbox folder. You can run Outlook in the safe mode using the command prompt (the path to Outlook executable outlook.exe depends on OS version and bitness, for example, for Outlook 2010 x86 on Windows 7 x64 it will be as follows: C:\Program Files (x86)\Microsoft Office\Office14 /safe) or right-click Outlook shortcut while holding down Ctrl key (it’s even easier). When started, Outlook will prompt you to confirm being started in the safe mode. (Outlook has detected that you are holding the CTRL key. Do you want to start Outlook in safe mode). 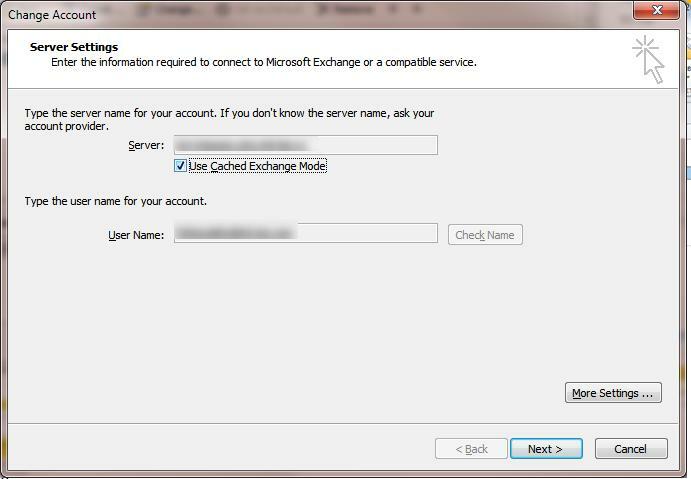 Try to delete/move the hung-up e-mail, and then start Outlook in the normal mode. If neither of the methods described above helped, you may try a more radical, but quite effective way to create a new PST file and re-create the Outbox folder. There is an opportunity of low-level interaction with the mailbox through MAPI. To debug MAPI mailboxes, you can use a number of tools. In my opinion, the most convenient one is MFCMAPI (http://mfcmapi.codeplex.com/). Depending on your Outlook version, download MFCMAPI x86 or x64. Attention! When working with your mailbox using MFCMAPI, be very careful and attentive, since you can seriously damage the mailbox structure with incorrect actions. 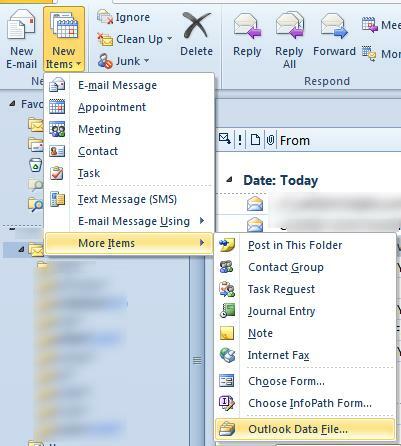 Make sure that the e-mail is still selected and select Actions-> Delete message. 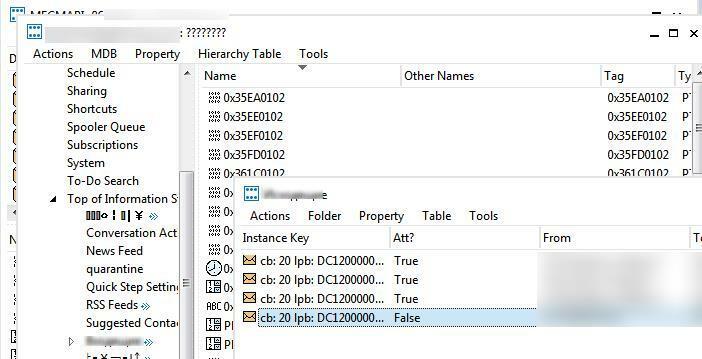 Click Permanent delete passing DELETE_HARD_DELETE (unrecoverable) and then OK.
Close MFCMAPI and start Outlook. 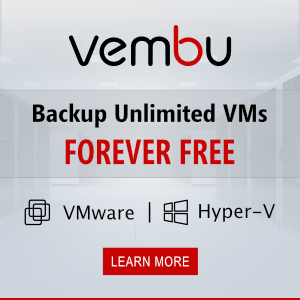 Make sure that the hung Outbox messages have been successfully deleted.